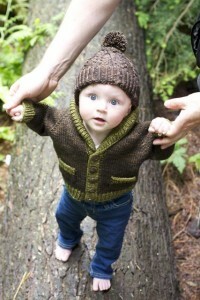 I’m just so excited about the new book I thought I would share one of my favorite patterns: the Gramps sweater. 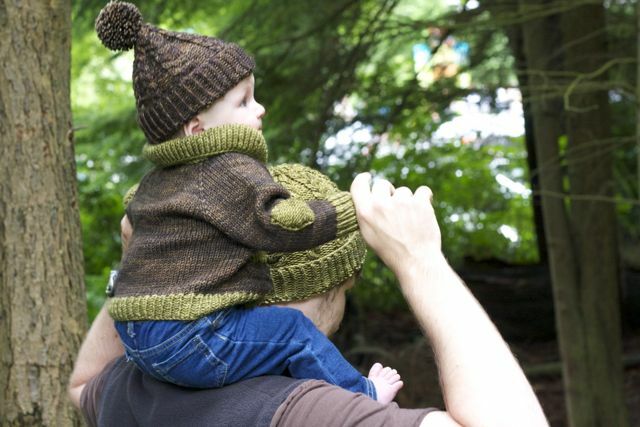 This little number is modeled after many a grandfatherly sweater, but is meant for wee babes. We think it’s hilarious how babies sometimes look like old geezers- so we created this shawl-collared grandpa sweater for your grouchy little old man! 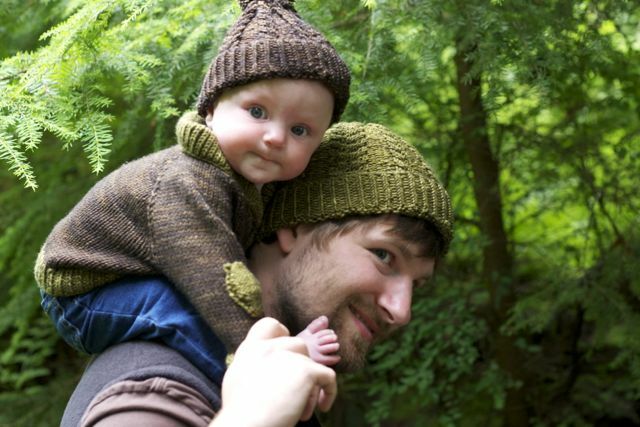 Suit him or her up and no matter how grumpy, your child will be stylish. Hunter keeps her little pipe and her reading glasses in her pockets and she has little elbow pads to cover up the years of wear on her new cardigan. The sweater is knit in an 18 stitch gauge yarn (so it’s nice and quick) and knit from the top down (my current favorite sweater construction). The shawl collar, pockets, and patches are added after. Gramps is available in sizes from 0-4 years old, no grown ups allowed! We think it’s hilarious how babies sometimes look like old geezers – so we created this shawl-collared grandpa sweater for your grouchy little old man! Suit him or her up and no matter how grumpy, your child will be stylish. This entry was posted on Sunday, October 16th, 2011 at 1:53 am	and is filed under Uncategorized. You can follow any responses to this entry through the RSS 2.0 feed. Both comments and pings are currently closed.